I joined Patreon's Community Happiness team in June of 2015, and became their first Community Manager shortly after. In my 2 1/2 years on both the Community and Marketing teams, I wrote over 200 pieces of content, ranging from highly-shared blog posts to comprehensive "How To" guides. Here are a few of my favorites pieces. Our story begins with Radiohead, as all good stories do. After thirteen years, longstanding game review site GameTrailers.com was forced to shut down and nine remaining employees told to leave. Within a matter of a few days, the group went from closing up shop to bringing in over $30,000 in monthly pledges from their fans using Patreon, under the new name, Easy Allies. How did this group of guys from SoCal go from shutting down a business to creating a burgeoning new one seemingly overnight? It was a perfect storm of dedicated fans, good timing, thoughtful preparation and a committed team. Rewarding your patrons is a great way to show your fans how much they mean to you, as well as incentivize potential patrons to become your patrons. In short, rewards are highly valuable to both you and your community. 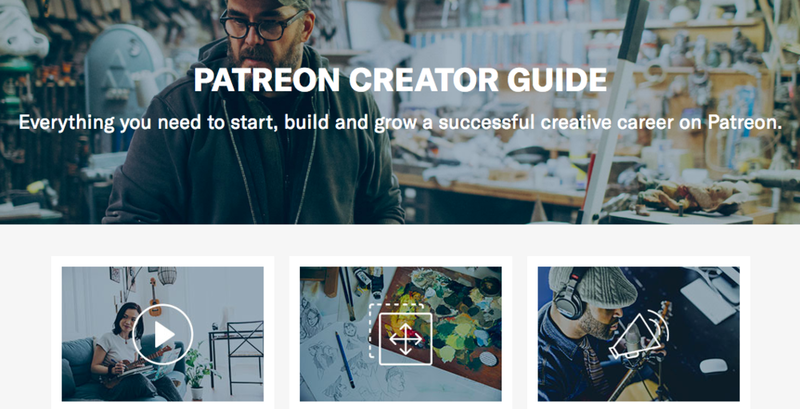 I wrote a 100+ page tutorial for creators on Patreon to help them build, launch and grow their pages on Patreon.